Hold your horses; faster versions of this flagship are on the way. The Audi R8 V-10 is bound for the U.S. mid-calendar year 2009, and the shockingly fast V-12 TDI concept is also tentatively bound for production. The TDI will feature a V-12 turbodiesel that cranks out 500 hp and a jaw-dropping 738 pound-feet of torque, while achieving 25 mpg on the highway, the company estimates. The 2009 Audi R8 looks and sounds like an exotic, but is more livable and drivable than its raging-bull cousin. 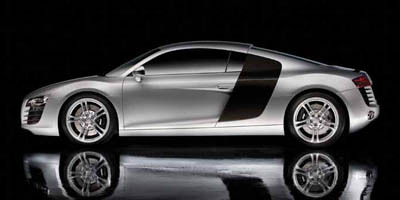 The experts at TheCarConnection.com have studied the range of reviews that cover the 2009 Audi R8 and incorporated some of the most useful insight and information in this review. And to bring you the best advice on what distinguishes the R8 from its exclusive rivals, TheCarConnection.com's editors have driven the Audi R8 on streets, highways, and the racetrack, and added their own observations. The 2009 Audi R8 looks every bit the exotic, a silhouette that seems designed for high-speed runs with extensive ductwork for engine cooling and brake venting, and huge wheels with a staggered size, front to back. Stunning details such as the LED light bar at the front and a glass engine cover that displays the LED-illuminated engine make it resemble a museum piece. The entire vehicle weighs only about 3,400 pounds and has a near-perfect (rear-biased) weight distribution to take advantage of the engine's mounting, just behind the front seats. The R8's lightweight construction and racing-inspired details are derived from Audi's experience with the racecar of the same name. Though the engine in the 2009 Audi R8 isn't particularly torquey for a V-8—it needs to be revved a bit to extract all the power—it delivers very brisk performance with either the standard six-speed manual or optional R-tronic gearbox. The manual gearbox has distinctive metal shift gates inside and shifts easily; the R-tronic gearbox can shift roughly in leisurely driving, but it's the choice for track driving, where it nails down shifts faster than the most experienced drivers and blips the throttle expertly on downshifts to maintain control. You don’t have to drive the R8 at illegal speeds to enjoy it, though it sure does have a presence on the racetrack. The R8 feels hefty and stable at triple-digit speeds, while also managing to convey lightness and nimbleness at low speeds. Meanwhile, the all-wheel-drive system, which can send up to 35 percent of torque to the front wheels, puts the power to the pavement without drama. And the sound from the V-8 is a nice baritone, but not so loud that it brings on fatigue. The 2009 Audi R8 is about five inches longer than the Lamborghini Gallardo (with which it’s somewhat mechanically related) and has several more inches of seat travel and legroom than the Italian stallion; even tall people will find the R8 ample in space. Headroom isn't tight once you're in, but some might bump their head on entry or exit. The layout of the cockpit area is very driver-centric, like that of a racecar, with controls and displays angled toward the driver. The R8's interior lacks storage compartments and cubbies for small personal items, and cargo space is limited to a modest area underhood at the front of the car and a cargo shelf that's good only for a small duffel bag. Major options on the 2009 Audi R8 include carbon-fiber trim, upgraded leather upholstery, a navigation system, a parking-sensor system, and premium Bang & Olufsen sound. The 2009 Audi R8 hasn’t been crash tested by either of the U.S. testing programs—and it probably won’t because of its low-volume production—but a performance-oriented electronic stability control system is standard on the R8, along with side impact airbags and dual knee airbags. This 2009 Audi R8 was designed to be looked at as much as it was to be driven. The relative rarity and exotic supercar styling of the 2009 Audi R8 still turns heads and causes jaws to drop. Unique is the 2009 R8; Audi imparts a style that Kelley Blue Book describes as "unlike anything else on the road." According to Cars.com, the 2008 Audi R8 doesn't just roll—"it stalks toward you, it awakens the senses. It stirs the emotions." Despite its superficial resemblance to the Lamborghini Gallardo, the 2009 Audi R8 has its own sense of style. With its mid-body-mounted V-8 engine visible through a clear cover (and illuminated by LED lights at night) and accented with carbon fiber trim bits, it's reminiscent of the Ferrari F430, according to Car and Driver, which describes this Audi as being "as much aluminum sculpture as it is machine." At first glance, says ForbesAutos, the R8 Audi bears a passing resemblance to its smaller relative, the TT. However, this vehicle is longer and leaner, and it sits lower to the ground, giving it an aggressive look that is indeed suggestive of a large, powerful cat stalking its prey. 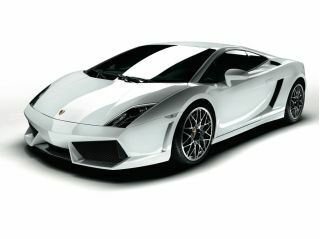 Standard wheels are 19-inch twin spoke alloys in silver or new-for-2009 high-gloss polished versions thereof. But perhaps the most stunning visual feature on this vehicle is the pair of air intakes just behind the doors, giving it an even racier and more exotic appearance. Inside, ForbesAutos describes the R8 Audi's cockpit as "minimalist and no-nonsense," while Automobile calls it "somewhat overstyled." Think of the 2009 Audi R8 as the gentleman's supercar: poised, powerful, and confidence-inspiring without being brash or hard to live with (unless you opt for the R-tronic). Reviews read by TheCarConnection.com agree: When it comes to sheer driving pleasure, the Audi R8 is a smooth and fast performer with a firm but controlled ride. 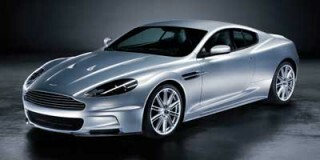 As ConsumerGuide describes it, "the V-8 sounds wonderful, a mix of Formula 1 and NASCAR." With an 8,250 redline, the engine's best feature is its sound. In the R8, Audi's 4.2-liter V-8 engine puts out 420 horsepower at 7,800 rpm and goes from 0-60 in just under five seconds, with a top speed of 185 mph, Automobile says. Yet the 2009 R8 still manages to average a very un-exotic 17 mpg. Of course, that's driving it not like you stole it. Official EPA numbers are 13 mpg city/18 mpg highway with the automatic and 12/19 mpg with the manual. In the 2009 R8, Audi offers a standard six-speed manual, or for an extra $9,000, one can opt for a six-speed automatic transmission that has a "sport mode" allowing manual shifting. 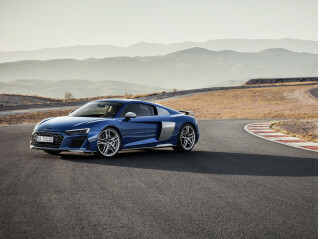 TheCarConnection.com's editors believe the R8's R-tronic gearbox is optimized for track performance. 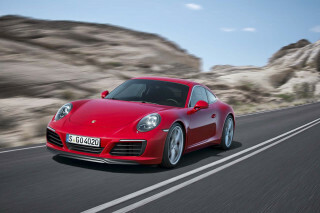 Though it's the choice for track driving, it can shift roughly in leisurely driving. Jalopnik remarks that the R-tronic transmission "is fairly unpleasant in city traffic." However, it nails down shifts faster than the most experienced drivers and blips the throttle expertly on downshifts to maintain control. The reviewer at Cars.com expresses doubts about this optional R-tronic automated manual transmission with its single-clutch system. Although the claim is made that the R-tronic transmission allows for the same acceleration as that of the standard transmission, Cars.com reports that the former "delivered ponderous upshifts in normal driving." Many reviewers like snicking the manual's gears better and say the sound of the metal gear lever and gate make driving all the more exciting. Compared to the Lamborghini Gallardo, which shares some mechanicals with the R8, Audi's sportscar is a relative lightweight. The 2009 R8 weighs only about 3,400 pounds and has a near-perfect (rear-biased) weight distribution to take advantage of the engine's mounting, but according to ForbesAutos, "it outweighs the Chevrolet Corvette and the Porsche 911." The 2009 R8's advanced suspension system makes its ride a "pleasant surprise, comfortable beyond anyone's expectations for a car like this," says Cars.com. This includes front and rear wishbones and an adaptive mechanism that adjusts for varying road conditions. ForbesAutos describes this optional adaptive suspension, which employs magnetically charged shocks that can vary their firmness in milliseconds. By adjusting these to their "sports settings," it is possible to take those twisting roads at greater speed while minimizing the vehicle's tendency to roll. "Still, the R8 gets restless on patchy pavement and can jolt over potholes and sharp bumps," notes ConsumerGuide. This, no doubt, can be attributed somewhat to the 2009 Audi R8's 19-inch wheels and low-profile tires. Audi's trademark quattro all-wheel-drive system is there as a "confidence-inspiring safety net." Road & Track test drivers are impressed with the R8 Audi's stability; the powertrain delivers a "minimal amount of torque" (no more than 35 percent, according to Car and Driver) to the front wheels, which makes the car's handling more like a traditional rear-wheel-drive sportscar. Automobile reports that the 2009 Audi R8's brakes are firm and steady, and deliver a stopping distance from 62 to 0 mph in a best-in-class 112 feet. 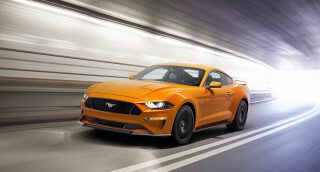 Kelley Blue Book concurs: "As would be expected, the brakes are up to the task, with 15-inch discs with eight-piston calipers in the front and 14-inch discs with four-piston calipers in the rear." This exotic may be honestly considered a daily driver; its luxurious accommodations and easy-to-live-with controls make driving the 2009 Audi R8 a pleasure rather than work. Little was spared in crafting the 2009 Audi R8's interior: It's ergonomically sound and luxurious, and it sports Audi's well-regarded fit and finish. Kelley Blue Book has only praise for this 2009 Audi R8. The leather seats, inlaid with Alcantara suede, can be adjusted in 10 different ways, so they'll accommodate almost every shape of driver and passenger. The curved roof, like that of the TT, is created with tall occupants in mind, and the design of the cockpit ensures that all controls are easily accessed from the driver's seat. ForbesAutos is able to fit a 6-foot-5 editor into the seats comfortably and describes the R8 Audi's interior as "minimalist and no-nonsense, yet it's comfortable and exquisitely finished," and notes that buyers can choose a wide range of leathers, colors, and trim to personalize their R8. Automobile Magazine, however, plays down the interior: "The cockpit's design is an acquired taste. There's a lot going on in this somewhat overstyled workstation. Not everyone will love the prominent carbon-fiber (or piano black) arc that swings from the center console across to the driver-side door panel." But ConsumerGuide cites "superb workmanship" that includes "high-quality plastics and fabrics applied with obvious care, plus real-aluminum accents on the dashboard, console, steering wheel and foot pedals." In its comparison of the Audi R8 with rival Porsche 911, Motor Trend declares that the former's cockpit is the "more ergonomic of the two." Kelley Blue Book feels the "controls couldn't be easier to reach and operate" and notes the seats are "ten-way adjustable." Although this vehicle is strictly a two-seater, the 2009 R8 Audi offers a 3.5-cubic-foot trunk tucked under the hood, as well as that storage bay behind the seats. Road & Track reports there's plenty of room behind the seats to stash golf clubs or anything else necessary for a weekend getaway. Those editors at Road & Track must have been thinking of miniature golf. The 2009 Audi R8's stout structure, plethora of handling features, and full complement of airbags should reassure most drivers. Edmunds reports that standard safety equipment on the 2009 Audi R8 includes seat-mounted and knee-protecting airbags as well as anti-lock disc brakes, traction control, and stability control. Of course, traction plays a part in safety, and the standard Quattro system ensures full-time all-wheel drive. For those of you who live in states where driving while talking on a cell phone is prohibited, a Bluetooth system is made standard for 2009. TheCarConnection.com's editors recently drove an Audi R8 and found that backing into parking spaces was difficult because of the shape of the R8's roof, something even the large side mirrors couldn't help. Visibility plays a role in safety, and ConsumerGuide took to task the rear visibility from the 2009 Audi R8, noting, "Visibility to the front and sides is fine, but restricted aft and over-the-shoulder by the wide 'flying buttress' rear-roof pillars and narrow rear-window opening." However, with the R8, Audi offers a backup camera as well as a radar obstacle-detection system, and Automobile Magazine thinks that the view to the back is better than in some sportscars. With more comforts and conveniences than most exotics, buyers have little to want for in the 2009 Audi R8. The 2009 Audi R8 has plenty of standard and optional features to assuage buyers who will pay over 100 grand for this limited-availability car. Edmunds details the standard features: 19-inch wheels, a retractable rear spoiler (operates automatically or manually), xenon headlights, LED brake lights and turn signals, leather-and-Alcantara suede power-adjustable sport seats, aluminum trim, automatic climate control, and a seven-speaker CD stereo. 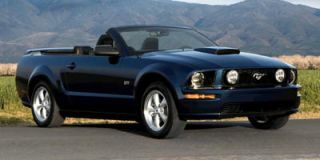 Model-year 2009 feature changes include now-standard six-CD changer, HomeLink remote, and the aforementioned Bluetooth connectivity system. Audi's navigation system is easy to program (even for a nongeek) and features scalable views such as those found on Google Maps. Audi's MMI controller takes charge of the navigation system and the audio controls, and it's somewhat easier to operate than BMW's similar iDrive controller—but both make TheCarConnection.com's editors long for the days of simple control knobs. Thankfully, for 2009 model R8s, the navigation system is now available separately, but some optional features for the 2009 Audi R8 are not available individually, frustratingly enough; according to Kelley Blue Book, these must be purchased as part of a "package." In the R8, Audi's "Convenience Package" offers a rearview camera, hill-holder clutch, Bluetooth wireless capability, and auto-dimming exterior mirrors. As Cars.com points out, Alcantara (artificial suede) trim can be ordered separately. There is also a "Leather Package" that includes more extensive leather trim in the cabin, along with a 465-watt, 12-speaker Bang & Olufsen sound system.